21st June is marked as International yoga day and at Tranceform fitness we conducted a free session on this occasion. At tranceform fitness we conduct yoga classes in batches on regular basis, Our Expert yoga trainer who has conducted lot of yoga classes in Pune, believes in giving all the positivity and energies to all our members through her teachings. 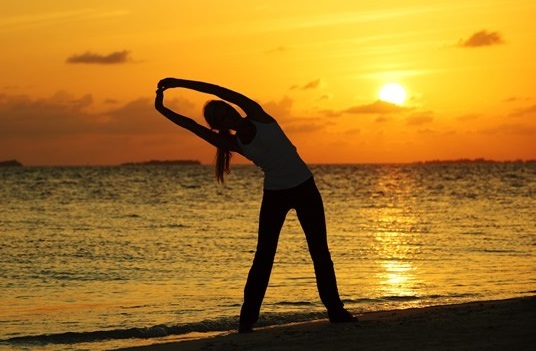 For those who have missed this year’s sessions I would like to present you with the top 5 yoga asanas which will help you give eternal peace by connecting our mind, body and soul. 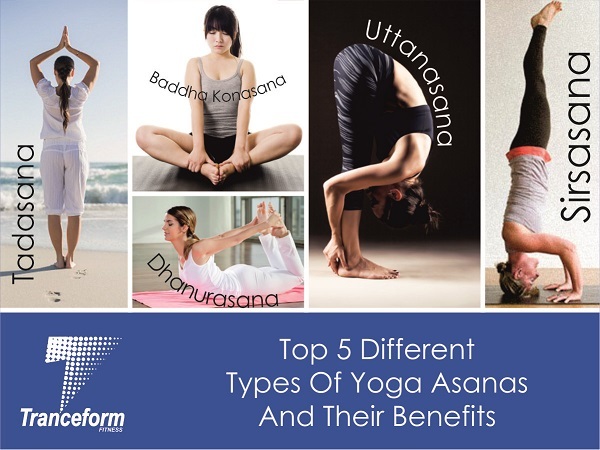 Here are the Top 5 yoga asanas which are practiced by many and taught at all the leading yoga classes in Pune. Just as Tranceform Fitness. Tadasana is also called as mountain pose or mountain stance, This Pose or asana is one of the best yoga asanas a human can practice, It’s recommended to do this asana early morning. Doing this asana regularly helps in providing good blood supply to the back, Spine, hands and other vital body parts. 1.Strengthens thighs, knees, and ankles. If you are a regular practitioner of commuting or sitting for long periods, then this asana will surely give you great relief and help you ease your discomfort. This asana is for the beginners. The sciatic nerve gets compressed if you sit for longer durations and Baddha Konasana yoga will definitely help you give ease. 1.Stimulates the heart and improves general circulation. 2.Stretches the inner thighs, groins, and knees. 3.Helps relieve mild depression, anxiety, and fatigue. 4.Soothes menstrual discomfort and sciatica. 5.Helps relieve the symptoms of menopause. People Join yoga classes to lose weight and if this is the reason you are planning to join yoga class, then this asana will prove effective in weight loss. This yoga pose helps in reducing the fats on your tummy easily, it also strengthens the lower body as well as your upper body, your spine also gets the maximum stretch and makes it stronger. Improve the function of liver, pancreas, small intestine and big intestine. Standing forward fold pose (Uttanasana) the name itself says that this is a forward bending pose which stretches your upper body and provides a deep stretch to the shoulders making them relax. If you are stressed or you have anxiety problems this pose will help you ease down. 1.Stretches the hips, hamstrings, and calves. 2.Strengthens the thighs and knees. 3.Keeps your spine strong and flexible. 4.Reduces stress, anxiety, depression, and fatigue. 5.Calms the mind and soothes the nerves. Sirsasana a known name in the yoga world, a powerful tool to cure insomnia if practiced regularly, This pose improves concentration and mental strength. This pose is a head stand pose the blood circulation in the brain is increased helping the brain functions and boosting the memory.